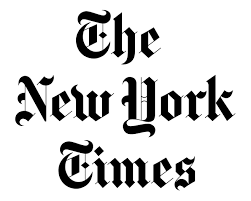 The New York Times is a very good newspaper, except where ideology and party line demands intrude. Unfortunately these intrusions occur often and are of great importance. The Times is the paper of record of an imperial superpower whose leaders have long and regularly flaunted international law and used their great military and economic power recklessly, in good part because they can get away with it. They push and push, eventually starting or provoking a war when their target refuses to surrender (see Gareth Porter’s Perils of Dominance). The collapse of the Soviet Union worsened this situation by removing a force of containment. As the top establishment newspaper the Times invariably strives to put imperial (and imperial client) violence in a good light. This goes back a long way, but let me just describe briefly the cases of Guatemala and Vietnam before looking at the present scene. The United States supported a nasty dictator in Guatemala for several decades before a 1945 revolution, not supported by this country, overthrew him and installed a democratic order. This democratic order fell into U.S. disfavor with the passage of a law protecting workers rights in 1947, and then became a regime change target when a land reform bill encroached on United Fruit Company’s (El Pulpo’s) rights. A U.S.-sponsored invasion force, aided by U.S. propaganda, air force assistance and diplomatic cover, ousted the elected regime in 1954 and began a long stint of undemocratic and terror state rule. The main U.S. propaganda cover for this hostility and violence was that Communism was taking over in Guatemala. This was a lie, but was front-and-center in the New York Times as well as in the mainstream media in general, and even reached the Nation magazine. The New York Times featured this terrible threat repeatedly from 1950 onward (one favorite, Sidney Gruson’s “How Communists Won Control of Guatemala,” March 1, 1953). The U.S.-sponsored replacement regime in Guatemala was a terror state almost without compare, and as it terrorized its population and carried out genocidal operations against its Mayan Indian population, the U.S. government continued to help it over many years with arms, training and Green Beret assistance. And the Times and its colleagues remained sufficiently quiet to allow this remarkable state terrorism to run on without any “humanitarian intervention” for decades. The Guatemalan peasants and Indians were “unworthy” victims, and in the Herman-Chomsky table comparing U.S. media coverage of Popieluszko and the 100 U.S. client state victims, the New York Times’s news reports on the single victim of the Polish Communist state exceeded by ten times their reports on 23 Guatemalan victims taken together (see further on Guatemala, Manufacturing Consent, 66-90). Things have not changed noticeably since the Vietnam war. Why should they? The print media and TV are under more competitive pressure for advertising from new media forms, which makes them less willing than ever to challenge national party lines. And Fox News, a major TV channel, has joined the Wall Street Journal editorial page in producing flak to help contain any dissent. But these are hardly needed. Establishment media protect establishment interests, and if those interests have dictated even more aggressive power projection in the post-Soviet-containment world, with the military-industrial complex and pro-Israel lobby pressing steadily in the same direction, the media will cooperate. That is why a paper like the Times will swallow the obvious Bush administration lies on Iraq’s weapons of mass destruction in 2002-2003, and why it will press ahead on Iran’s nuclear weapons threat even before the ink had dried on its quasi-apology for its little mistake on Iraq. So the treatment of Russia, Putin and Ukraine is not surprising, spectacular though the bias, demonization and crudity of the propaganda service has been. It is in a great tradition of all the news and opinion that we deem fit to print. So while the very accommodating Boris Yeltsin was treated kindly, and his corrupt election victory in 1996 was “A Victory for Russian Democracy” (NYT ed., July 4, 1996), Putin’s electoral victories are treated harshly, his domestic policies are deemed failing, and his foreign policies are found devious and threaten international peace and stability. He joins a long assemblage of the demonized. In support of this demonization the Times has had a stream of op-ed columns putting the villain in a bad light, none lauding or defending him. A notable illustration, showing nicely the depths to which the editors sink in their defense of the indefensible, is their centerpiece op-ed of May 25, 2015, by Sergei Guriev and Daniel Treisman, “Rule by Velvet Fist.” Of course, ruling by a velvet fist, meaning by “soft power,” would seem better than ruling by violence, but Guriev and Treisman make this a selection based on public relations expediency, not any aversion to violence, which, they argue, their targets use when really needed. The bad guys, of course, include Vladimir Putin and Hugo Chavez (no mention of Maduro), and the really violent regimes cited are Syria and North Korea, but not Saudi Arabia, Egypt, Israel, Rwanda (Kagame), or Uganda (Museveni). Or the United States. Doesn’t the United States surpass Russia and Venezuela in the use of violence (hard power) externally with its steady stream of wars and assassinations; and internally with its numerous police killings and mass imprisonment? Doesn’t it give critical support to violent regimes like Saudi Arabia and Israel? Isn’t it the champion user of “soft power” as well, again both abroad and at home? When Guriev and Treisman talk about the new authoritarians using “propaganda, censorship and other information-based tricks to inflate their ratings,” and bribing media owners with ad dollars and urging pro-regime parties to acquire media, is this worse than prosecuting whistleblowers, allowing greater media concentration, and carrying out public campaigns of target demonization and falsification of evidence? Does soft power include the ability of a monied elite to dominate elections and assure that no real populist can qualify for high office? Is it not remarkable that a Barack Obama and George W. Bush can struggle to reach a 50 percent popularity rating whereas a Putin can reach into the 80 percent category even in the midst of an economic crisis? One of Guriev-Treisman’s tricks is to smear their target villains as a class with words that hardly apply to all of them—notably “authoritarians,” “autocrats” and “dictators.” They acknowledge that Chavez came into power with a free election, but that doesn’t relieve him of being an autocrat. They claim that the autocrats “preserve pockets of democratic opposition to simulate competition.” They know by instinct that these pockets are just preserved for this reason. The West, on the other hand, is good, and has to “address it own role in enabling these autocrats.” It doesn’t have to address its own use of hard and soft power, nor its role in enabling autocrats unmentioned by Guriev and Treisman like the rulers of Saudi Arabia, Israel and Rwanda. For the empire’s paper of record, the empire ought to rule more efficiently. Edward S. Herman is professor emeritus of finance at the Wharton School of Business of the University of Pennsylvania and a media analyst with a specialty in corporate and regulatory issues as well as political economy.